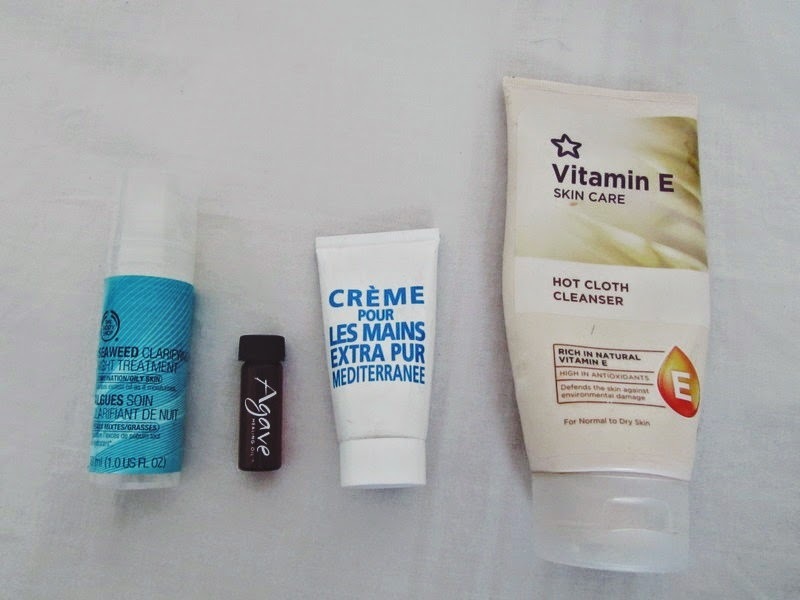 So to round off the month I thought I do my first ever empties post! I haven't been lusting for much lately and to be honest I haven't had time to sit back and think about what I've learned this month. I think for the most part I've been coping very well with the medication reduction, but I'm seriously making terrible choices when it comes to people. Anyway, less of that, on to the empties! I thought I had more to share, but when I looked it turns out there were only four. I won't do ratings because you'll surely be able to tell whether or not it will be a repurchase. The Body Shop Seaweed Clarifying Night Treatment - so a while back I purchased a few Body Shop products because of the wonderful 40% off code. I loved the Seaweed face wash and needed a night time moisturiser and decided to try this. This more of a clear gel than a cream. I can't say I loved or hated this item, it was just there in my routine. I won't be repurchasing it though, because I didn't see any sort of improvement in my skin from it or a reduction of oil on my face. Agave Healing Oil Treatment - I got this in this months Birchbox. I find it hard to believe that this (and the other product I'm about to talk about) is all I've managed to finish up from my samples I receive in my box. I've heard so much about Agave oil and loved trying this out, but I have to say I didn't notice that it improved the condition of my weave, and I had used it up before I got the chance to try it on my natural hair. I loved the smell of this though. Compagnie de Provence Hand Cream Mediterranean Sea - I got this hand cream in my first ever Birchbox. I remember talking about how I thought it was nothing special when I showed the contents of my box and I still stand by that. It was good to have a handcream in that size in my bag, but ultimately it didn't do anything that I was impressed with. It has however made me realise I do like using handcream and with the winter months coming I need to purchase one! Superdrug Vitamin E Hot Cloth Cleanser - I've had this for sooooo long and I'm glad I used it up finally! I used to use the Liz Earle one, but then picked this up when my skin started to get dry and I needed something cheap and cheerful. It worked great for when my skin was dry, so I might have to pick it up again when the colder months appear.